In Sadiq Khan's London today gangs of moped riders roam the streets maiming and attacking innocent people in order to steal from them. Mostly it is done out of sheer badness but thankfully one less of these thugs is off the streets. 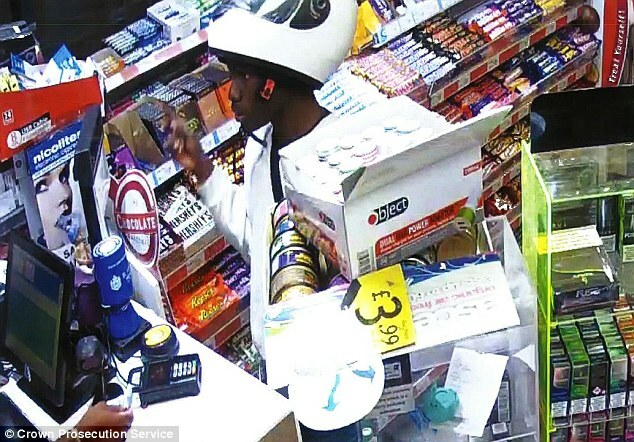 Derryck John from East London was caught on CCTV when he took his helmet visor off at a petrol station in Hackney, East London. At the age of just 16 he threw acid at riders to steal their motorcycles and scooters. In just over an hour on July 13 he attacked 6 people causing one of his victims 'life-changing' injuries. The Prosecutor said of his crimes: "These are a series of serious attacks moped and motorcycle riders that took place on July 13 over a very short period of time - approximately two hours. The modus operandi over all of the offences is identical - the attacker strikes when the moped rider is at a red light. The corrosive liquid is then sprayed directly over the face of the rider. As the rider is struggling with the pain and disorientation of being sprayed with this noxious substance, the riders who have done this steal or attempt to steal the vehicle." The teenager has admitted six counts of throwing a corrosive liquid with intent, two counts of robbery and four counts of attempted robbery. A third count of robbery will be taken into account when he is sentenced this Monday.